First, we want to express just how thankful and blessed we feel to have such amazing friends and family like you! You all have inspired us to become the people that we are today and we thank you for that. We love you and we can't wait to share our wedding day with all of you. Thanks for visiting our Royal Caribbean Honeymoon Registry and wedding website. Don't forget to read our blog and look at our photo album! We're ready to test our luck in the Las Vegas-style Casino Royale onboard our Royal Caribbean International cruise. With an array of table games and slot machines, we are bound to hit the jackpot. Then we will head off to play bingo with exciting themes and prizes like shopping sprees, spa treatments and a chance to win another incredible cruise vacation! 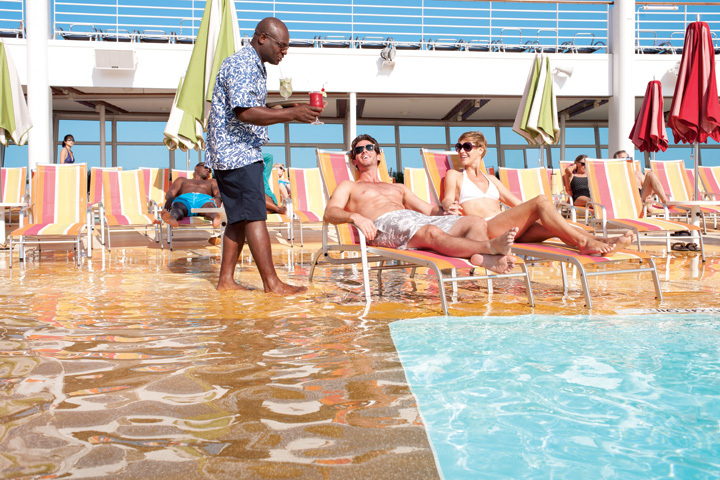 Onboard Credit is a USD dollar amount credit applied to the couple's shipboard spending account. 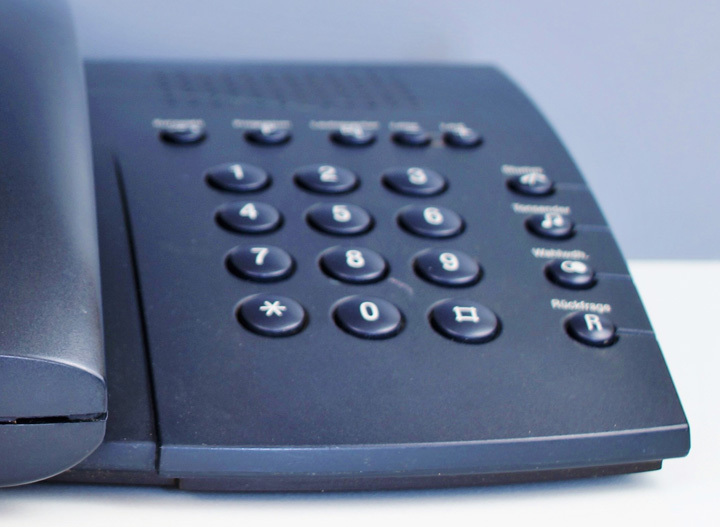 Please see the Guest FAQ's for details and terms on this item. 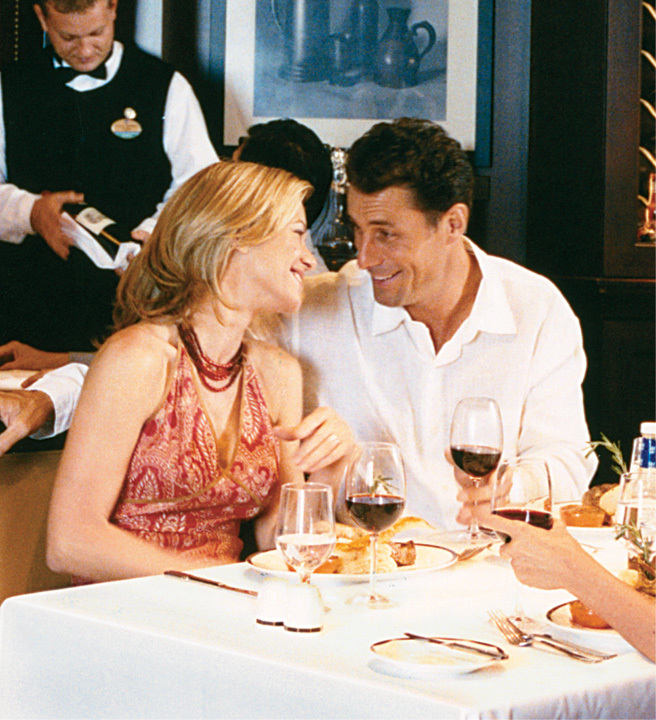 With your thoughtful wedding gift you can help us explore the exciting ports of call throughout our cruise. Royal Caribbean International offers numerous shore excursions from the exciting and adventurous to the relaxing and inspiring. We'll be able to discover the amazing sights, sounds and flavors of the different destinations on land. 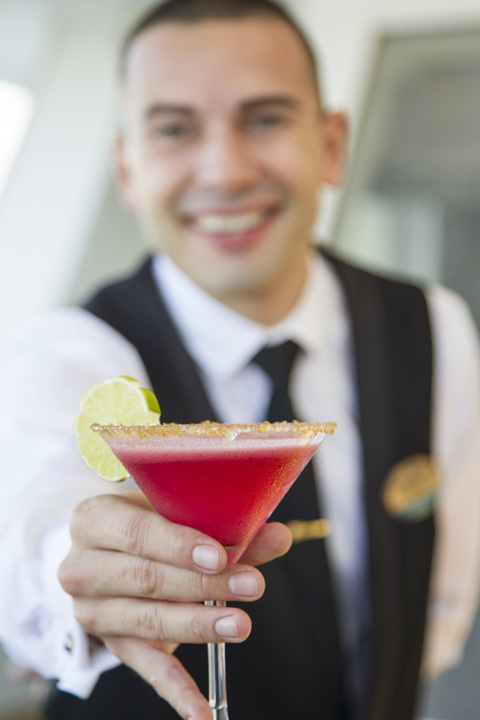 During all of the excitement onboard we will want take time to relax and enjoy our favorite beverages. From soda to wine your gift can help us purchase a beverage package that is refreshing and helps us celebrate. Our Royal Caribbean International honeymoon cruise promises us the ultimate indulgence with their extensive Wine Cellar Collection. 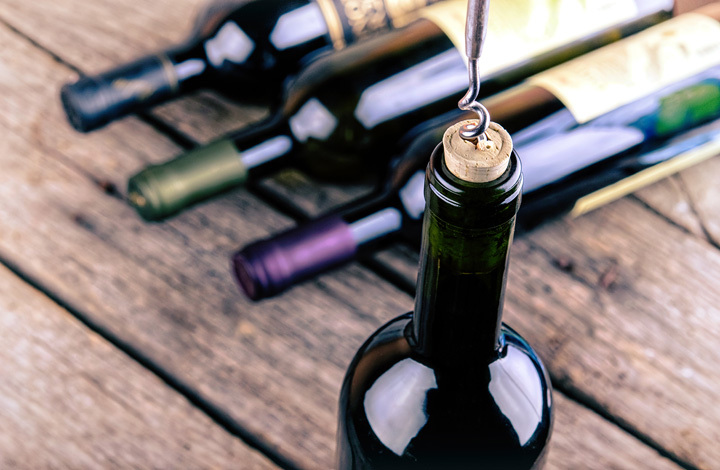 With over 50 bottles of champagne and wine from around the world, we will choose from full bodied reds, buttery whites, delicate blushes, sparkling champagnes, and alcohol free wines and champagnes. 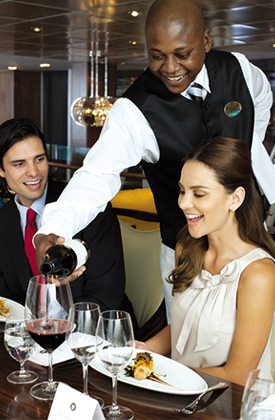 Thanks to you we will enjoy this gift at dinner or have it delivered to our stateroom for a relaxing evening. While onboard our cruise in the comfort of our favorite bar, we will toast to the beginning of our new lives together and enjoy a round or two of cocktails, beer or wine. 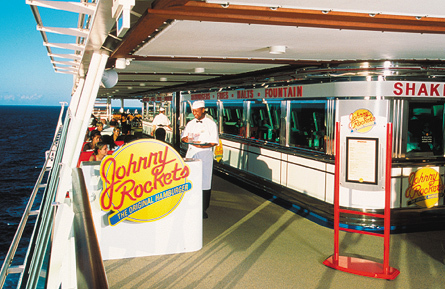 On our Royal Caribbean cruise we will slip back in time at Johnny Rockets, an authentic 50's-style diner. Here we will enjoy hamburgers, fries and milkshakes while enjoying the dancing entertainment of our servers. 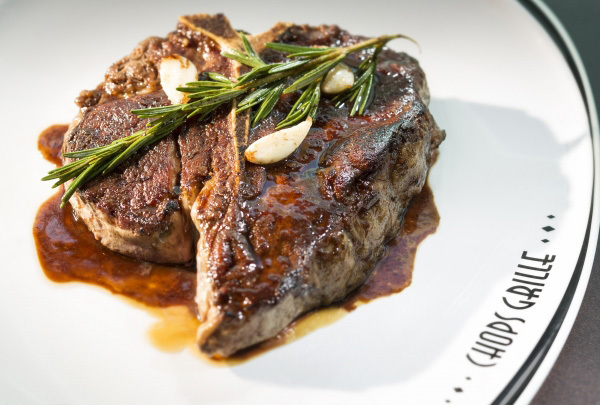 While onboard the perfect place to celebrate our special occasion will be in the elegant setting of Chops Grille, the classic chophouse onboard featuring fabulous steak and seafood dishes. From filet mignon to mesquite-grilled salmon, Chops Grille will offer us much more than simple meat and potatoes. While onboard we will treat ourselves to the most premium dining experience available in the sophisticated 150 Central Park. Here we will enjoy a contemporary multi-course degustation tasting-style menu created by the restaurant's celebrity chef. 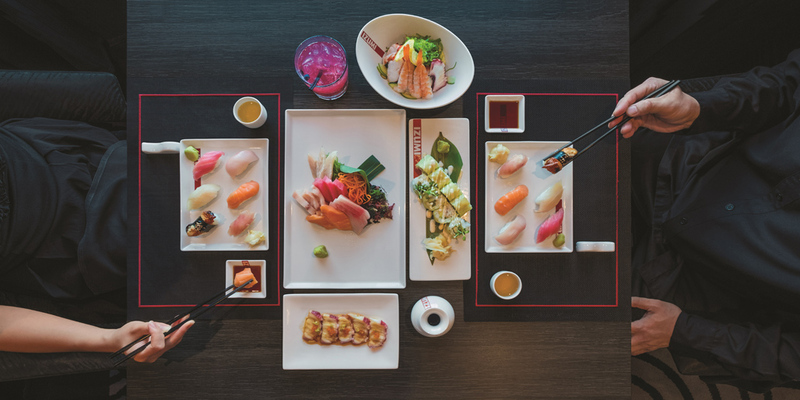 Together we will enjoy the pure, delicate flavors of Asian dishes in the intimate setting of Izumi. Here we will be able to choose from sushi rolls and sashimi to Hot Rock (Ishiyaki) Plates, sukiyaki and more while taking in the breathtaking views of the ocean as we sail to our next destination. 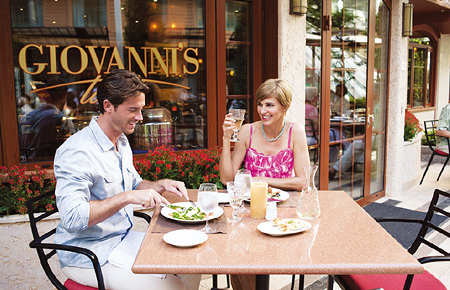 While onboard we will enjoy the regional flavors of Italian cuisine at Giovanni's Table, a traditional Tuscan trattoria. Here the food is served family-style giving us the perfect opportunity to share each course so we can try even more of the delicious choices. Onboard our Royal Caribbean International honeymoon cruise we will experience the ultimate dining experience at the Chef's Table. We will enjoy an exclusive multi-course dinner including expertly paired wines at a private, 14-seat community table. Dinner will be hosted by the Chef, who will explain and entertain us during our dining experience. 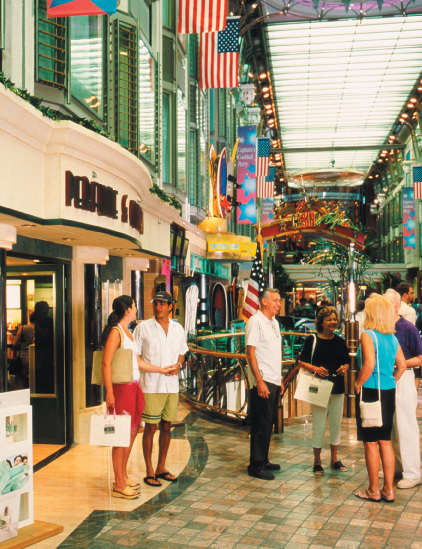 From unique jewelry and designer watches to apparel and souvenirs, the shopping onboard our Royal Caribbean International cruise offers something for everyone. While relaxing onboard we will be able to browse through these various shops to purchase keepsakes that will remind us for years to come of the incredible time we had onboard. 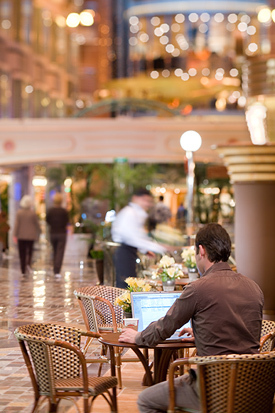 Royal Caribbean International offers so much to do onboard that we are guaranteed to never be bored. 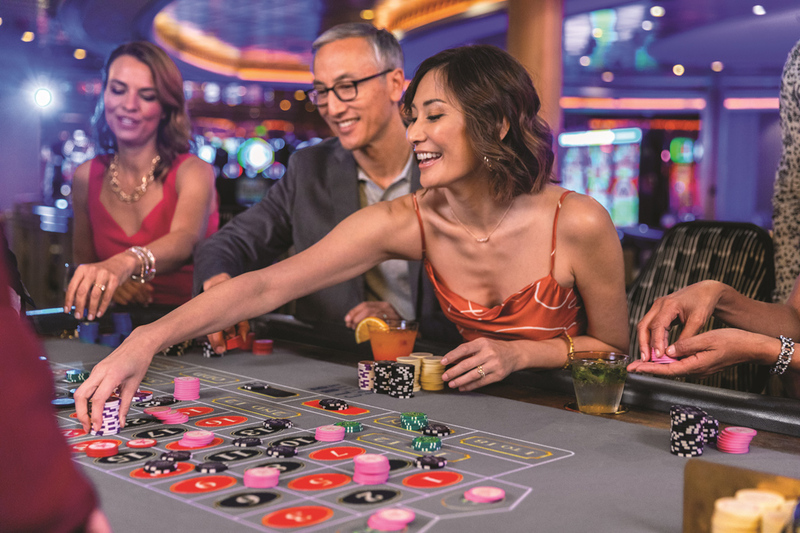 While onboard we will try our luck at the Casino Royale, indulge in sumptuous dishes in the specialty restaurants, purchase keepsakes in the onboard shops, enjoy a round of our favorite drinks or discover a world of tranquil bliss in the day spa and fitness center. With your thoughtful wedding gift we will explore the amazing sites and activities onboard Oasis of the Seas. The perfect honeymoon awaits us on a Royal Caribbean International Cruise. With your thoughtful gift we will set sail to discover the culture, beauty, sights and sounds of our chosen honeymoon cruise destination. We will create many unforgettable memories while sailing from port to port onboard this incredible ship! 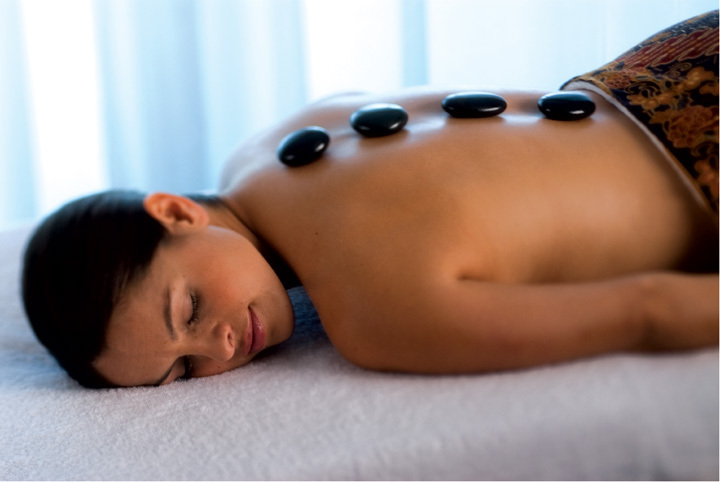 To help me wind down after the wedding, I will discover a world of tranquil bliss during my Elemis Aroma Stone Therapy spa treat. Warm basalt stones will be placed on key energy points of my body to rejuvenate and relax my mind, free spirit and soul. Soothing massage techniques and the warmth from the stones penetrating deep into my muscles will melt away tension, leaving me in a peaceful state of mind. 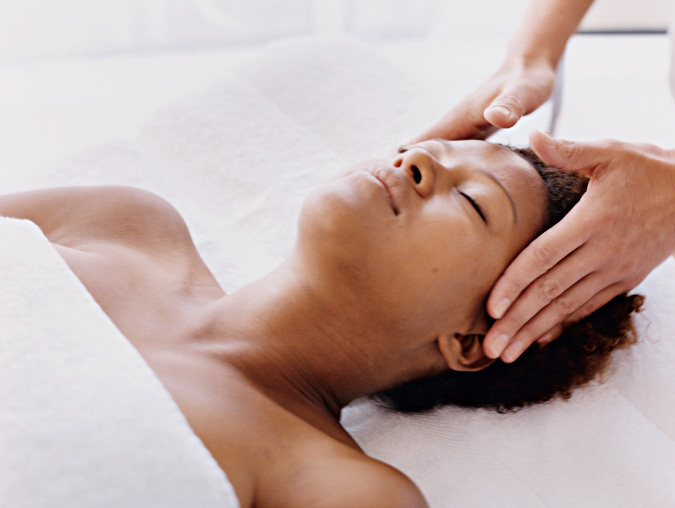 On my Royal Caribbean International cruise I will indulge in the Elemis Aroma Spa Seaweed Massage. I will receive a heated seaweed body mask with a warming blend of pine and rosemary essential oils before being enveloped in a soothing wrap. While cocooned in this wrap the ingredients will start working their magic, detoxifying, decongesting and stimulating my body's systems. This lavish spa treatment will end with a relaxing full body massage. The Fire and Ice Pedicure is perfect for me to relax on my Royal Caribbean International honeymoon cruise. My lower legs and tired feet will receive an application of cooling gels followed by a warm stone massage. The invigorating combination of aroma-therapeutic ingredients will leave my feet silky smooth and beautiful while I experience the amazing sensations of hot and cold. With your generous gift, I will take delight in the Elemis Skin Specific Facial. This lavish facial is specially designed for my skin's needs, and will oxygenate and revitalize my skin evenly. 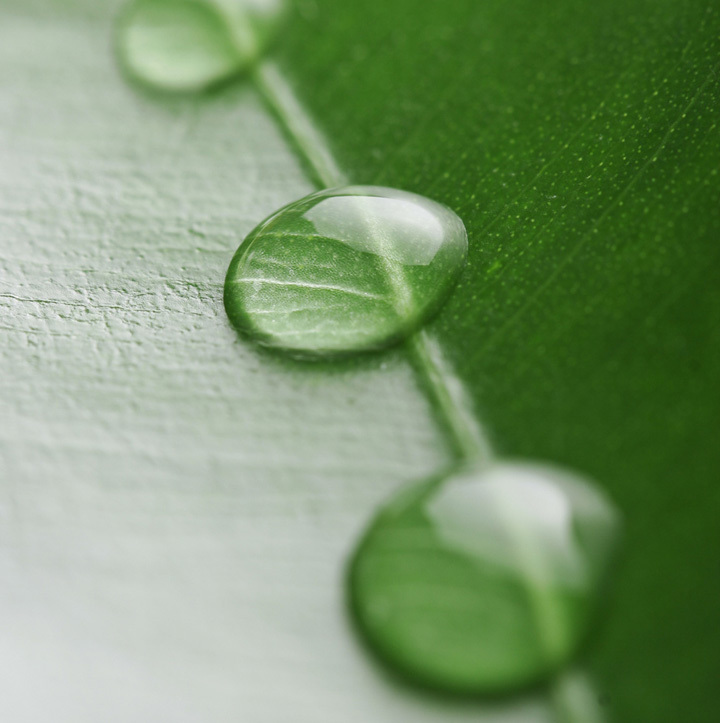 I will choose from a Fruit Active Glow, Herbal Lavender Repair, Exotic Cream Moisture Dew and the Absolute Lift Facial. Using soothing facial massage techniques and powerful conditioning ingredients, my skin will be pampered to perfection. I will experience pure exotic bliss on my Royal Caribbean International honeymoon cruise. In the serene settings of the spa an application of warm oil will be dripped on my body before I receive the Lime and Ginger Salt Glow. After my skin is gently exfoliated, a refreshing water rinse will wash away the salts and Exotic Island Flower Body Lotion will be smoothed over my skin. 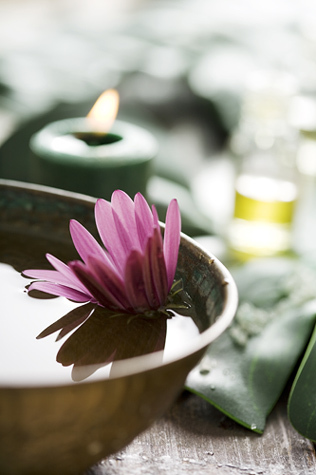 This sumptuous spa treatment will end with a relaxing Swedish or Elemis Deep Tissue Muscle Massage. 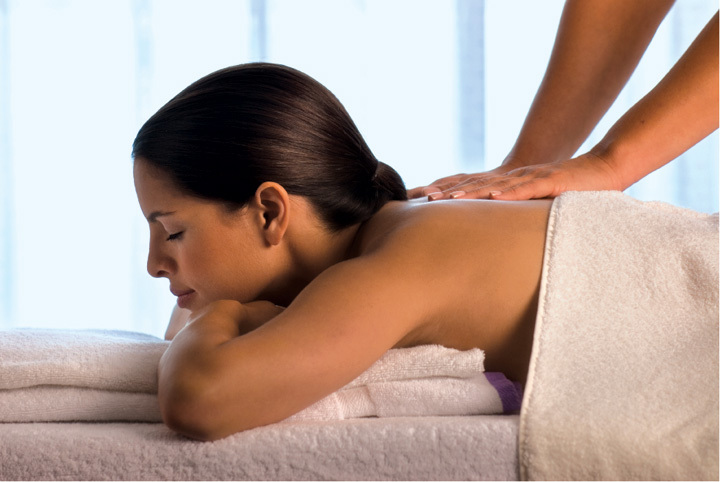 After a day of activities on my honeymoon cruise, I will relax with the Elemis Deep Tissue Muscle Massage. In the soothing settings of the spa, the massage will warm, soothe and soften my tired muscles improving range of motion. This ultimate spa massage will leave me in a peaceful state of mind. On my Royal Caribbean International honeymoon cruise I will discover pure relaxation with the Bamboo Massage. Warm bamboo shoots, invigorating essential oils and soothing deep tissue techniques blended with gentle massage strokes will simply melt away tension. While lying side by side in the serene settings of a suite reserved for couples, we will receive an Elemis Deep Tissue Muscle or Swedish Massage. This romantic massage will leave us in a tranquil state of mind as we relax and enjoy the special moments created in this enchanting oasis. With your thoughtful wedding gift I will receive the Elemis Pro-Collagen Marine Facial to rejuvenate and enhance my skin's radiant glow. Next, I will be pampered with an Elemis Deep Tissue Muscle or Swedish Massage to relax and balance my mind, body and spirit. 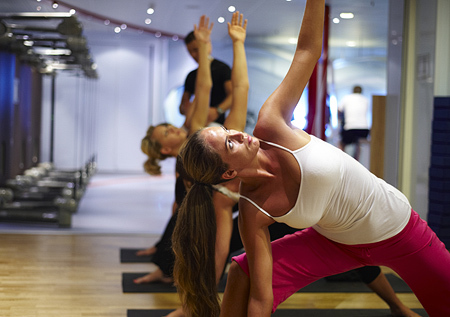 While onboard there are a variety of fitness classes and personal training sessions we can choose from in Royal Caribbean International's fitness center. We can start the day with a relaxing yoga class or work with our own personal trainer to create a program we can continue once we get home. What better way to remember the amazing time we had on our honeymoon than with pictures taken by the professional photographer onboard our Royal Caribbean International cruise. We'll choose our favorites so we can look back on our incredible honeymoon cruise for years to come! While having an amazing time on our honeymoon we would love to keep in touch with our friends and family back at home. With your generous gift we will be able to let everyone know the highlights of our days onboard and the exciting adventures we will be experiencing. Help us say thank you to the crew members who will be making our honeymoon an unforgettable experience onboard our Royal Caribbean International cruise.